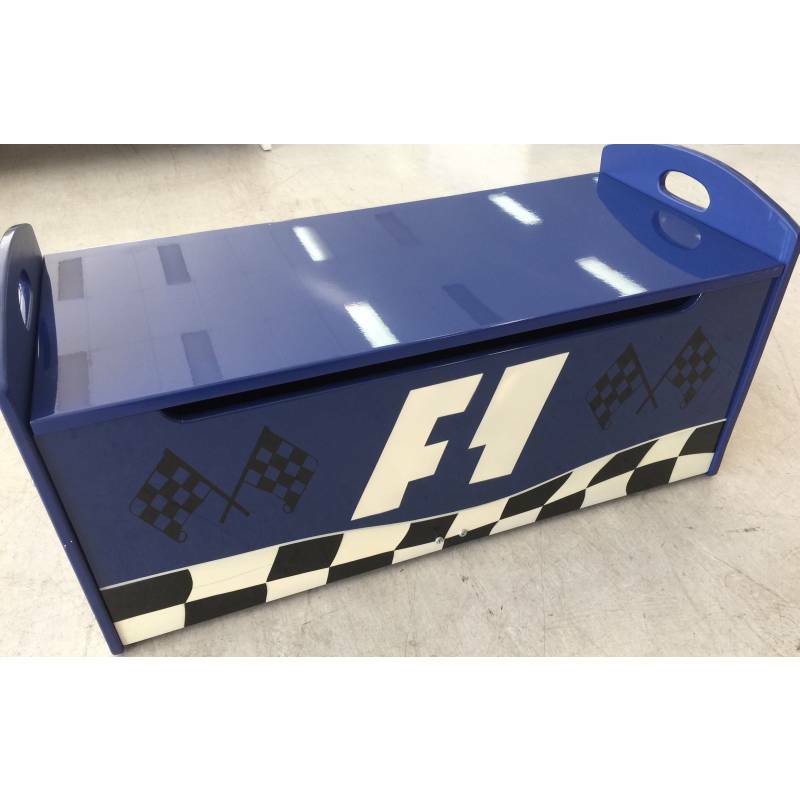 Keep those play spaces clean with this blue race designed and inspired wooden toy chest. Built strong this chest is made to take all day to day activities. 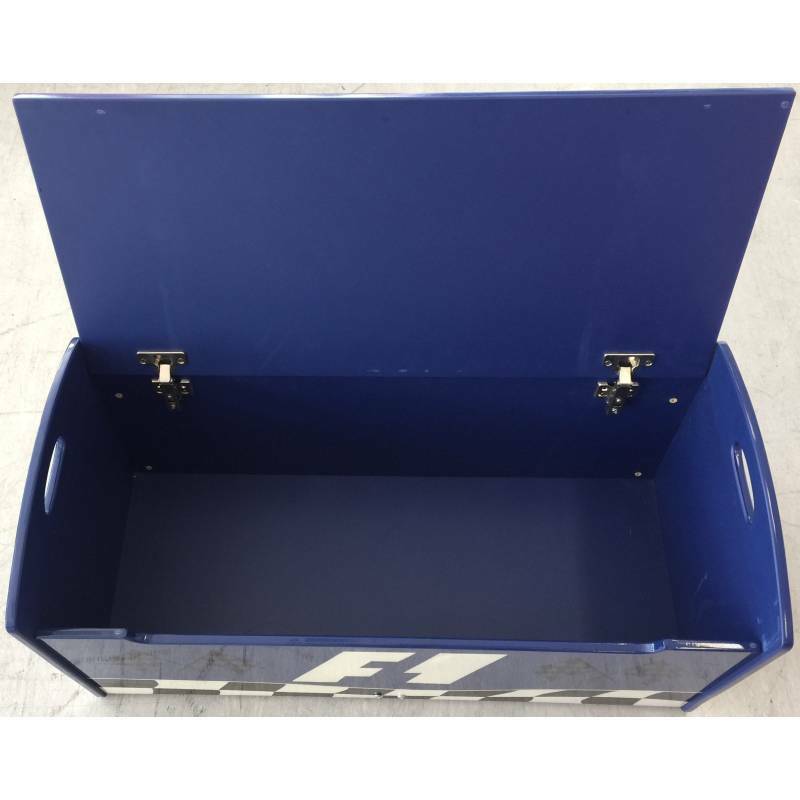 This versatile piece is a great place to store toys or extra bedding. It comes fitted with a slow close hinge so it has extra protection for all those little accidents. With its assembled size of 80cm Long x 38cm High x 40cm Wide there is plenty of room for everything.